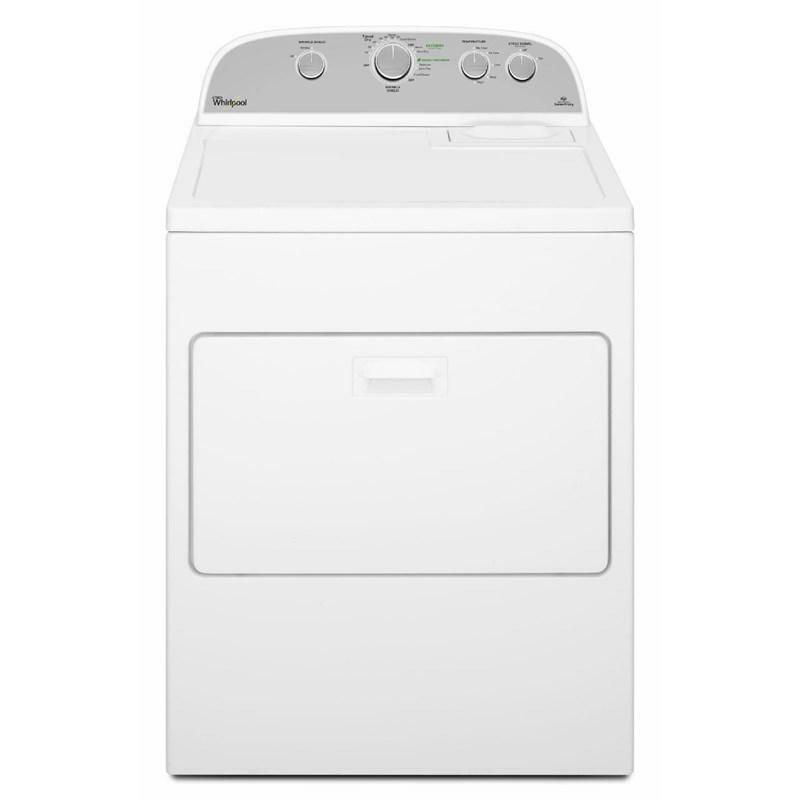 Help prevent damage caused by overdrying and spend less time in the laundry room with the 7.0 cu. 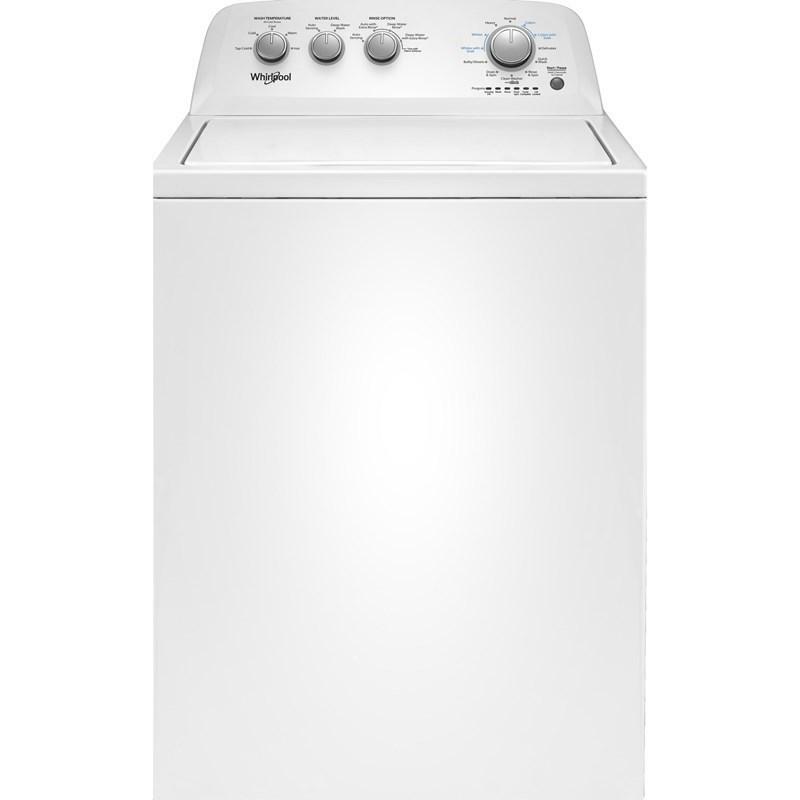 ft. Cabrio® electric dryer. It evenly dries loads the first time21 with the AccuDry™ sensor drying system by measuring moisture and temperature levels. The sensors will automatically stop the cycle when the load is dry, to help preventdamage from overdrying. 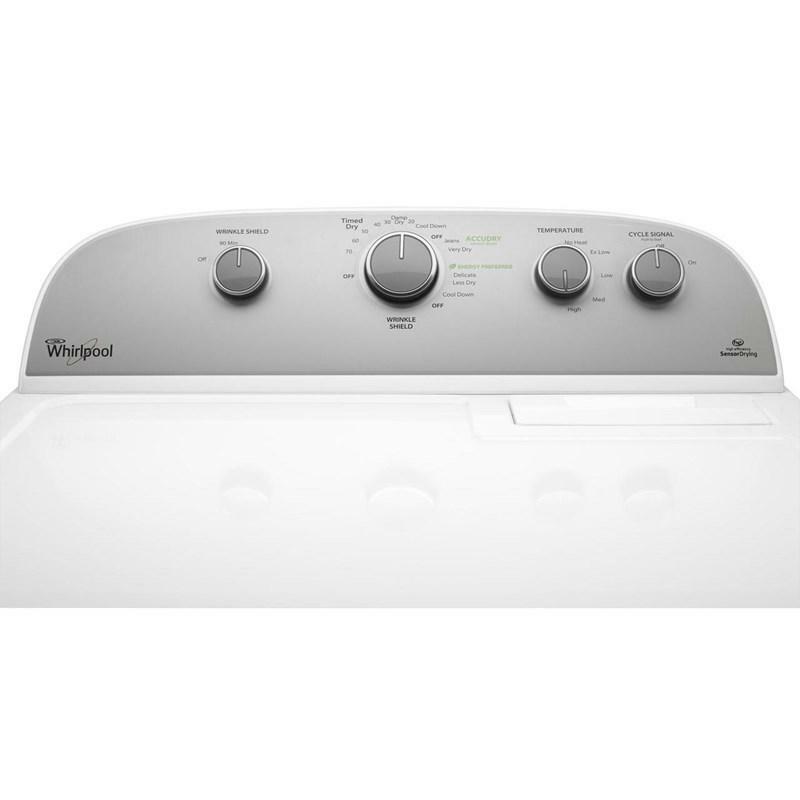 Plus it's a high-efficiency electric dryer to save time and energy. Dry Cycles Damp Dry; Jeans; Delicates; Less Dry; Timed Dry 20; Timed Dry 30; Timed Dry 40; Timed Dry 50; Timed Dry 60; Timed Dry 70; Very Dry; Wrinkle Shield; Cool Down. Additional Information 7.0 Cu. 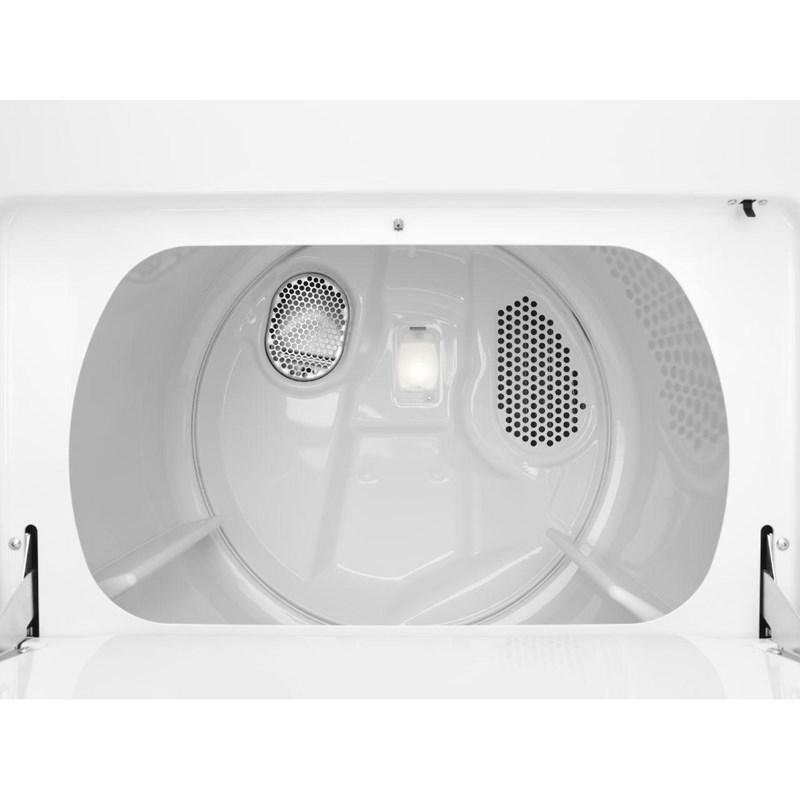 Ft. Capacity; AccuDry™ Sensor Drying System; Wrinkle Shield™ Plus Option. Additional Dimensions Maximum Height	43 7/8 Inches; Minimum Height	43 3/8 Inches; Height	42 1/4 Inches; Depth	28 1/4 Inches; Width	29 Inches. 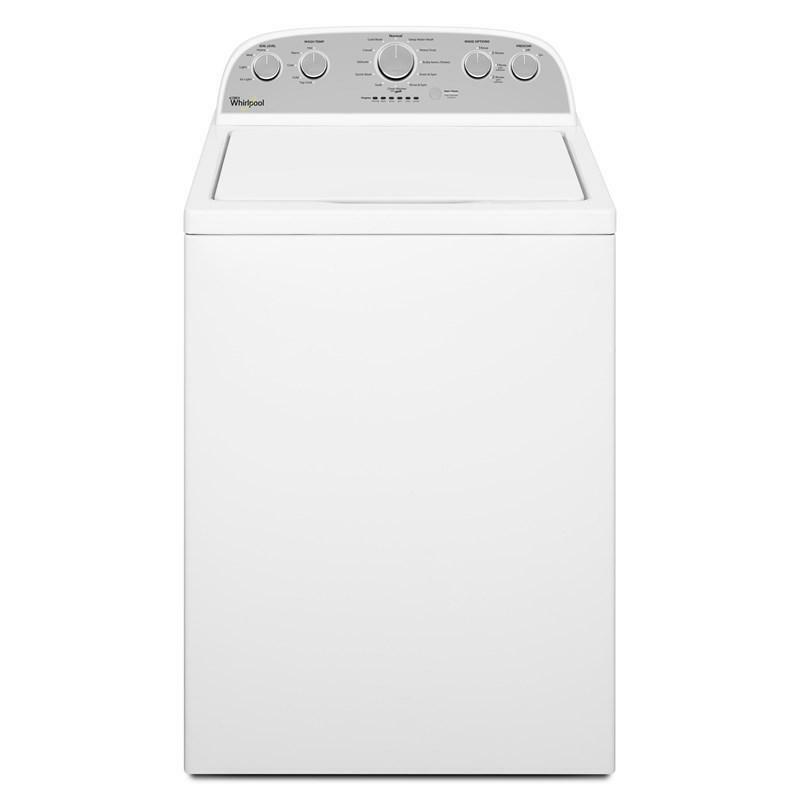 Warranty For one year from the date of purchase, when this major appliance is installed, operated, and maintained according to instructions attached to or furnished with the product, Whirlpool Corporation or Whirlpool Canada LP (hereafter “Whirlpool”) will pay for Factory Specified Replacement Parts and repair labor to correct defects in materials or workmanship that existed when this major appliance was purchased.